Most men claim not to be good cooks, however when it comes to the BBQ, they claim to reign supreme. For the bloke who loves his barbie this is the perfect cook book. 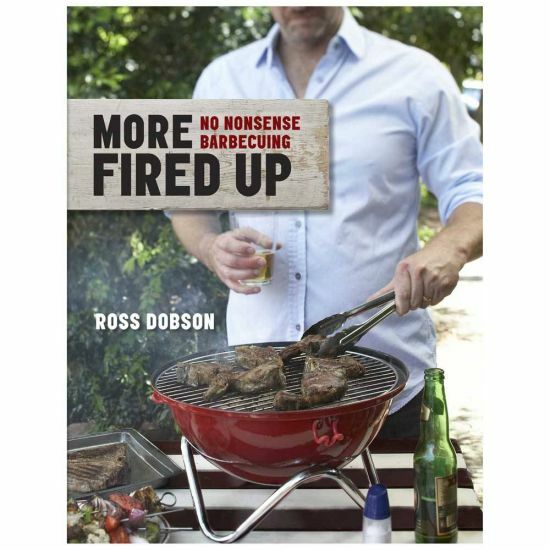 Enjoy no-nonsense barbecuing as Ross Dobson fires up the grill. Drawing on culinary influences from around the globe, including South East Asia, India, the Middle East and Europe, plus old school Aussie favourites, More Fired Up features over 90 easy recipes. With chapters devoted to the coop, the sea, the paddock and the garden, this book has great grill and hot-plate recipes for meat-lovers and vegetarians alike. Head outside and enjoy dishes such as "Indian Chicken In Banana Leaf", "Thai Pepper Steaks" or "Tandoori King Prawns". Yum!